Alom Shaha’s wonderful book, The Young Atheist’s Handbook, is an intelligent and moving account of his life and his philosophy as an atheist from a Muslim family in a South London community. I love the sub-title: Lessons for living a good life without God. It gave me a reason to reflect on my own thoughts about being an atheist in a school community with many religious students and staff. One of the interesting challenges I have as Head at KEGS is balancing my personal convictions as a committed rationalist-humanist-atheist with showing respect for some of the school’s historical Christian traditions and promoting the school’s modern multi-faith ethos. As a life-long atheist, growing up in a family where all religious people were lumped together dismissively as the ‘God Squad’, my world view has always been clear. As far as I am concerned science does a good job explaining the natural world including the emergence of a species of self-aware mammals capable of exploiting the resources of the lonely planet they inhabit in space. The evolved complexity of the human brain and of human social interactions account for everything we experience: our consciousness, our sense of morality, our hopes, dreams and anxieties, our sense of purpose and our emotions. And when we die, we die, shutting our biological computer down, living on only in the memories of those still living. We are capable of having spiritual experiences but these are just a form of emotional response created chemically and electrically in our brain cells. Not only is there no God in my world, there isn’t a need for one to explain nature or to add any meaning. It may be terrifying to contemplate our lonely, precarious and unlikely existence in the vast enormity of space and time, but that’s the reality. Actually I find it quite inspiring. It’s also inspiring to consider the human capacity for love, compassion, ingenuity, curiosity and learning..and the evolutionary process by which these characteristics have developed to support our existence and survival. So, yes, it was a bit of a surprise to learn that KEGS had a number of deep-rooted Christian traditions, long after I’d accepted the job. The school’s Christian heritage manifests itself in the traditional hymns and prayers in assemblies and an annual carol service in the cathedral. In addition, a sizeable proportion of staff and students are Christians or Muslims with numerous other faiths represented. Though it was never stated, I think there was an implicit expectation that a KEGS head would be a person of faith. Very quickly, on my first day, I made an arrangement with my wonderful Deputy Head colleague whereby he now deals with all the Christian traditions. On Fridays he reads the Lord’s Prayer and organises the hymns. I lead Monday assemblies which don’t include hymns and prayers. We find this works well, not only as a way for us both to stay true to our different belief systems, but as a truer reflection of the school’s make-up. 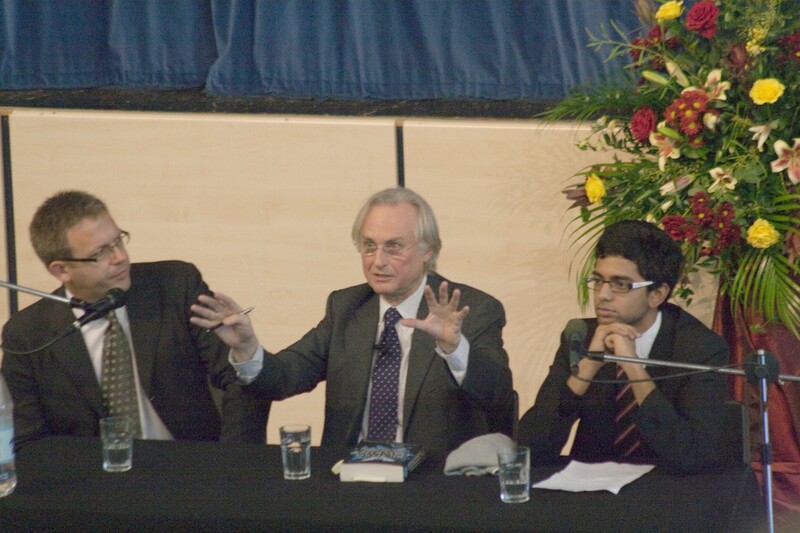 In 2009, the issues of faith and science were given an airing when, to my delight and surprise, Richard Dawkins agreed to open our new Sixth Form building, The Darwin Centre. It was the 150th anniversary of Darwin’s Origin of the Species and given Dawkins’ unparalleled contribution to our understanding of evolutionary biology, it was quite a coup. He gave a brilliant lecture on the idea of evolution by natural selection and took part in an open questions session with Sixth Formers. Dawkins’ most recent book at the time was The God Delusion. It’s an uncompromising read and some people took offense, not least at the highly confrontational and dubious idea that raising children as Christian, Jewish or Muslim amounts to abuse. His presence was greeted with glee by many members of staff and students but it did upset others. I received several letters and a copy of The Dawkins Delusion was placed in my pigeon-hole (I think it’s a pretty weak book but that’s another story). Of particular note were letters and debate contributions that highlighted that some students are actually full-on Young Earth creationists – which surprised me; they got short shrift from Prof Dawkins with good reason! My counter to the general concerns about Dawkins’ hostility to religion was to focus on Darwin..and Dawkins’ status as the greatest exponent of Darwin’s ideas. 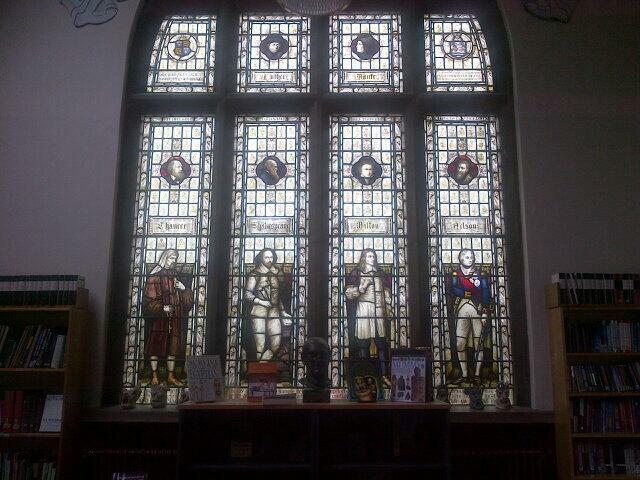 I also stressed my delight in the fact that Darwin has featured in our library window since 1907, alongside Shakespeare and Beethoven; he’s been part of the fabric of KEGS for decades. Darwin in the KEGS Duffield Library window. The key thing is this: I am an atheist; but I am not anti-religion. That’s not what atheism means for me and it would be an unacceptable position to take as Headteacher. Although I don’t believe in a God, over the years I have developed a perspective on religion that I find necessary in order to acknowledge and accept other people’s faith in God. When people for whom I have enormous respect as individuals and intellectuals, are also serious Christians, Sikhs or Muslims, I find it isn’t helpful to dismiss their faith as a delusion. In fact, increasingly I find it better to interpret religion as a natural expression of our humanity; our human quest for understanding. A way to give meaning and purpose to our existence; that yearning for a bigger scheme of things, beyond a humble biological human life. Christianity and all the other religions seek to address these things and, in many respects, succeed for those who believe in them. But they are all common themes in human society, God or no God. I find that, with this spirit, I have a great deal in common with my Christian colleagues; we share the same views about a range of moral and ethical questions and about the science of our origins. Obviously, there are important differences that we need to face and acknowledge. There’s a major conceptual gulf between believing in a supreme being and not believing in one. As an atheist, I don’t regard the Bible or the ideas about Jesus being the Son of God as anything more than a collection of folkloric tales and recollections distorted through the passage of time. Most Christians believe some spiritual or miraculous experiences and concepts to be real when atheists regard them as beyond rational possibility. Some aspects of religious practice are challenging and occasionally offensive to me – such as the link between church and state and the belief that any one religion could be more valid than any other or imposed on others. But, I can still value the core of religious ideas as humanistic and genuine. The rituals and rules of religion – the places of worship, symbols, prayer ceremonies, rules about food, marriage and clothing – are to me entirely human constructs, handed down through generations. Again, that is something that I can accept and embrace – provided I’m not expected to give these things undue meaning or reverence. I also feel we should be able to challenge these things at times – because they are human and not divine in origin. At Christmas time, I can go one stage further. The Christmas story has been passed on for centuries – a true story for Christians with deep significance. But, as an atheist, I can still appreciate the value in celebrating a human life with a story about forgiveness, suffering, peace and hope. Not only that, but I’d argue that since for centuries, English culture has been filtered or carried by Christian institutions and rituals, they are a genuine part of my cultural heritage whether I like it or not. I don’t have to believe the Jesus story to appreciate the significance of the underlying human themes. Of course, in my family, Christmas is all about Santa, turkey, Rudolph and the tree; but when I take part in the Nine Lessons and Carols service at Chelmsford Cathedral I don’t feel like a fraud; it’s a story that we’ve all grown up with and the moral messages are common to us all. I actually feel that it’s my story too; even though I don’t believe it is literally or historically true, it’s part of my culture. More routinely, I love singing hymns; in my view there is no decent secular equivalent that allows 1000 people of all ages to sing together with the combination of solemnity, joy and meaning that hymns offer. I catch students of all faiths and no faith, joining in the hymns each week – Jerusalem, I Vow to Thee My Country and Oh Come All Ye Faithful are sung with conviction by the whole community at different events. In many ways, our Christian traditions are the best we’ve got for bringing our community together, even when practising Christians are in a minority. For me, hymns symbolise the possibility for atheists and people of faith to co-exist, singing as one. We differ in our perspectives and interpretations, but fundamentally we are all just people trying to make sense of life, to live it in the best way we can as human beings sharing our one extraordinary planet. A powerfully thought-provoking article which speaks volumes to me. I was brought up as a Catholic but always questioned aspects of the faith. As a teacher of Psychology I teach evolutionary psychology and that turned my head! I find your thought so close to mine – possibly I am slightly more militant than you, I agree with Dawkin’s view on child abuse and indoctrination. Religion has a lot to answer for and welcome a world that drifts away from it’s binding grasp. I have personally just been through the most traumatic experience of my life – watching my Mother die of cancer. I am angered that her suffering was protacted due to the nature of our Christian traditions of ‘God’s will’. What a refreshing read! Reason, compassion and intellectual honesty. Nicely done. Excellent writing, Tom. As an atheist headteacher myself, I agree with (just about) every word here. It is also a useful reminder that one who is convinced of the rightness of atheism must not feel superior to those who believe differently. I also think ‘The God Delusion’ is completely over-hyped. Can’t understand why so many claim reading it as a life-changing event (but maybe they came at it from a different perspective). I also can’t understand why Dawkins is so adversarial; as a former holder of the chair of Public Understanding of Science he must know that one of the first rules of communication is ‘do not alienate your audience’. I actually enjoyed reading it; I liked the skyhooks and cranes metaphor. But he alienates too many people when he tackles religious dogma in the way he does. All parents are indoctrinating their children to some degree – that’s what cultural transmission is; he overlooks that. He doesn’t make enough distinction between his attacks on creationism or other extremist positions compared to more subtle spiritual/philosophical or simple cultural religious standpoints. Thank you for bridging the gap between rationalism and the wholly irrational in a respectful manner. I don’t envy your position as a Headteacher. I find it difficult enough as a living apostate from Islam, but as an educator, too, I have to be careful about how I sometimes feel with affront, bigotry, exclusion and false modesty all around me. My tongue is raw from having been chomped down on many times. Dawkins has put me off by becoming, well, racist recently. Rereading the God Delusion from that perspective makes it a less refreshing read. And I’m an atheist. Thank you, this is a debate, which as an atheist Headteacher myself, I find quite difficult at times to have to keep justifying. The pressure is on us as part of the state apparatus where the church has a key role in the legislature to be part of, and maintain the status quo. This is perhaps even more prevalent in a junior school, where there is an expectation (why…?) among non-church going parents ( and possibly church going governors) that a Christian ethos is observed. I don’t condemn or belittle religion, but will look at Christian stories like that of Christmas with a rationalist and folkloric perspective, in the same way that I interpret traditional tales, stories and songs in the music I play. And I agree, singing together is wonderful and good for the soul, and there are some lovely carols. Religion does not have a monopoly on morals; we should all strive to live the best life we can, whatever our belief system. I completely agree with that – religion does not have a monopoly; religious people are flawed people just as atheists are. I have no time for special claims to righteousness from believers. It can be difficult to have an open discussion about things like the resurrection – clearly, the atheist view is that this is just a myth or a fantasy. But very serious, rational Christians are often committed to it; it more or less defines their faith. At that point, we need to accept the gulf between us. You need a strong trusting relationship with someone to debate those things openly and not fall out. That said, I know a well-regarded ex-Headteacher who told me he didn’t accept ‘that we evolved from monkeys’; he said he was a creationist. In all honesty, I lost respect for him after that. Oh and everyone here might want to check out this video. I’d appreciate it if you replied to this comment with your thoughts. Thanks! Mo, I’m happy to discuss this with you. From my perspective, this whole thing is straight-forward to deal with in a rational scientific manner without the need for God to exist. You will have a different view. I won’t accept the other comment because you cross a line – we will certainly discuss that. the muslim religion has strain of intolerance and false certainty that their’s is the final and true religion. That certainly does not suggest an open mind to me. Let’s all clap. It’s a shame about all the kids who’ll die hungry and lonely today. 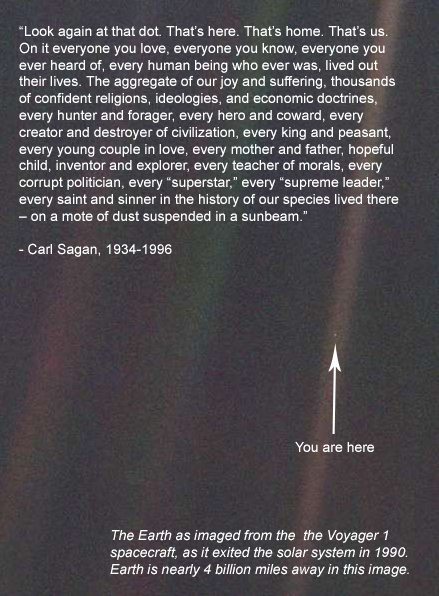 People may love or neglect each other; we’re all alone on our tiny rock in space and that’s the truth of it. This is a ready made and powerful assembly (or series?) for love, peace and oneness – a message which should be shared far more frequently! I nearly finished that with ‘Jah Rastafari’ which would have been ironic as another (reggae loving) atheist. There are so many similarities between us which ought to be acknowledged at the same time as celebrating our differences. However, they are often instead corrupted by political or religious ideologies and dogma. I think the piece is balanced and would adapt to most schools offering a way of bringing young people together in a better understanding of our existence. I find this an incredibly interesting and helpful blog. I was a year 13 student in your first year at KEGS (and some of my stepbrothers now attend Highbury). I was (and still am) a female atheist from a comprehensive school so as you can imagine KEGS was not the easiest school to be a part of for me. I was regularly told by other students (Christian and Muslim) that I lacked moral standards, couldn’t be a good person and would go to hell etc. because of my atheism. I wish I had known about your views at the time and I hope that the school changed for the better over your time there. I hope you share these ideas with your current school as I think it would really benefit the students (particularly as there seems to be a tendency away from tolerance rather than towards it). I also had a number of very positive experiences as KEGS and don’t want to imply it was all bad! Ps. As a relative of Darwin I wish I had been there to use the Darwin centre! That’s really interesting Verity. A relative of Darwin? How wonderful. I did an assembly about being an atheist at KEGS – perhaps just after you left. I found there were lots of atheists; intact the RE staff were always telling me how popular Dawkins was. At the same time we did have several highly evangelical students; a couple of assemblies led my students got out of hand with their messages about sin and feeling worthless next to Jesus. All rather unhealthy I thought. I’m sorry you found this part of school life difficult but also glad to hear other experiences were good. I loved it; learned a lot but I’m glad I no longer have to feel like a fish out of water.